Designed and built in Austria, the Frauscher 858 Fantom Air is the open version of the classic 858 Fantom. It combines timeless style and very modern technology to offer a pleasant combination for sunny days. Stefan Frauscher, CEO and soul of the Austrian shipyard, likes to say, “in Austria too, we know how to build boats” ; a saying that no one will be able to dispute because for years, Frauscher has taken a special place in the nautical world. If, at first, specialists and the public were seduced by the design ; genius mix of retro and avant-garde style, they were even more seduced by taking the helm of the boats. 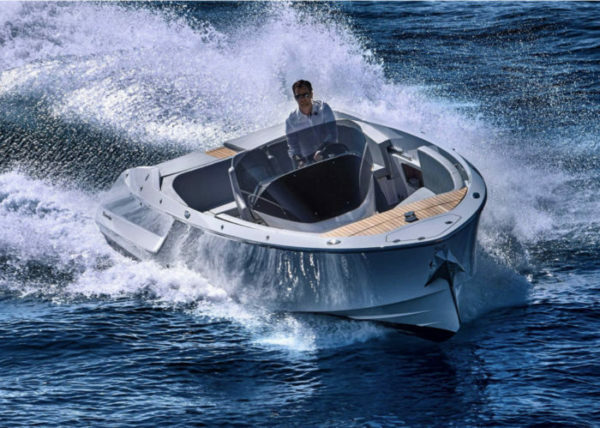 Focused on innovation, not hesitating to use composite materials and carbon and offering part of its range with hybrid engines, the shipyard has somehow reinvented the motorboat. 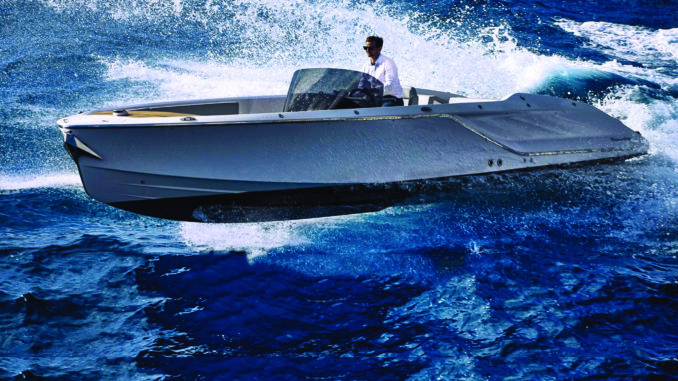 So, the Frauscher 858 Fantom Air is based on the classic 858 model and it’s the convertible version of this boat. It keeps the deliciously general angular design from this model with a recess on the rear of the flanks that gives it a lot of personality. We also note a almost completely vertical bow and a beautiful stainless steel strake. On the back, the hull literally encompasses the large swimming platform size bath and finally, the design of this boat is a true masterpiece! In addition to its harmonious lines, the 858 Fantom Air offers a rather sober look. Particularly with the white paint which give an impression of lightness. On the back, the double sunbath is slightly under the bridge line and so it does not appear in profile view. 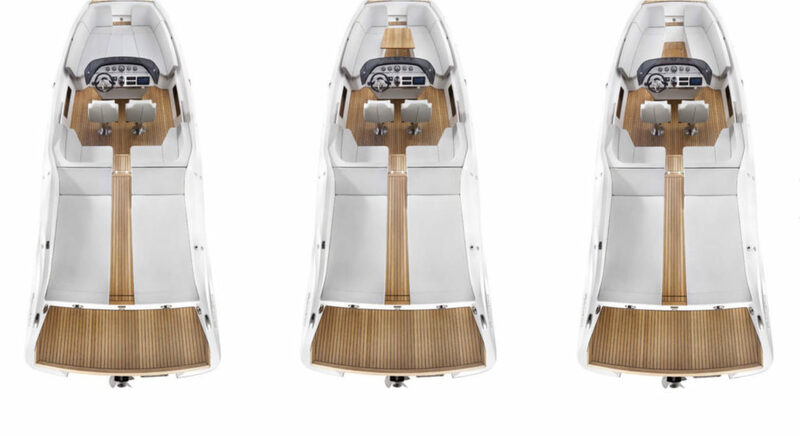 The front deck, covered with teak is also a little lower so as not to create extra thickness and the windshield, although tinted, keeps the feeling of lightness. Once on board, we find again the same idea. Placed in the center and accessorized by two pilot seats (moreover very comfortable), the console, whose base is narrower, seems almost to float. However, it has enough space for a steering wheel, switches and an electronic screen. We also note the perfect alignment of the gauges and their stainless steel strapping, the shipyard pays attention to details. 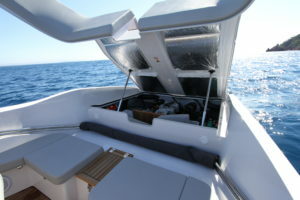 On the bow, a comfortable place to seat three to four people is available and in the middle, a passage to the bow for maneuvers and to access the anchor box, even if the boat has a fixed anchor. A table can be placed in the center and all can be turned into a good sized solarium (55’’ x 65‘’) well protected from wind and onlookers. In the rear of the boat, a U-shaped bench leaves a passage in its center to reach the swim platform. We pass through the middle of two sunbaths with inclined head for better comfort. Some storage units take place in bulwarks and under the seats. 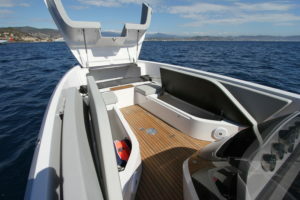 We particularly appreciate the one located on the front and dedicated to store the sun top and the huge storage unit in the floor which taking almost the entire length of the boat. The handrails are discreet, but present, and the equipment is complete including the teak floor series. 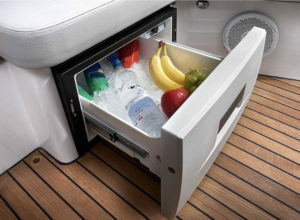 Optionally, you can opt for a refrigerator, a sun top (front and rear), a shower, a bow thruster and electronics to name a few options. Although its design will certainly open the doors of a museum one day, the Frauscher 858 Fantom air is designed primarily to navigate and it does it well. Based on a narrow V-shaped hull with a bow sharpened like a blade, the Frauscher literally cuts the wave. Its two strong strakes offer an effective grip while the central step improves performance, comfort and consumption. Small drawbacks regarding the driving position make it difficult to read the gauges. The windshield top is a little too close to the face when sailing in bad weather in leaning-post position. The seats that could be a little bit deeper. Nevertheless, once on the water, the efficiency of the hull design is convincing. The time to plane is fast and the boat offers an exceptional behavior. On the day of our test, the weather was pretty bad with waves between 5 to 6,5 feet in the bay of Cannes and the least we can say is that the Frauscher 858 Fantom did the job, being able to maintain a high pace (around 35 mph – 30 knots) in these difficult conditions. 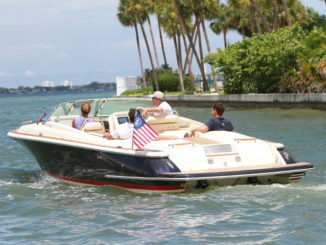 The best part is even with its very open concept, the boat does not get the crew wet. 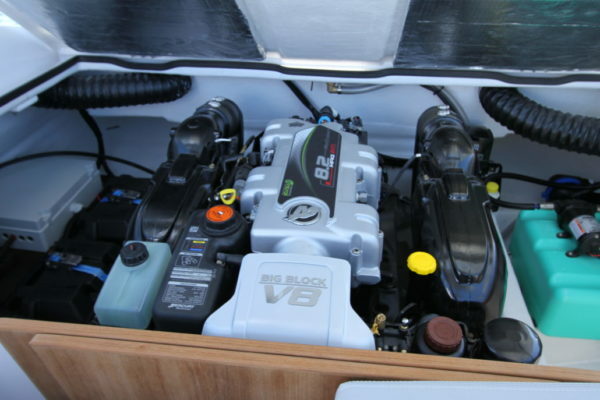 To propel the 858, we had a 350 hp Mercruiser V8 engine. Beautiful mechanic, perfectly adapted to the boat and that takes everything to nearly 52 mph (45 knots) despite the bad weather. The cruising speed stays around 37 mph, which is pretty good for the size of the boat. 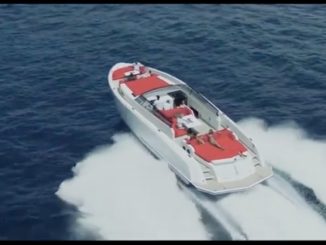 If it’s not enough for you, it’s possible to opt for the 430 hp and the boat is also available with a diesel engine, not necessarily the best choice for enjoying this beautiful runabout. Even after several thousands of tests, it’s impossible not to fall in love with this motorboat. 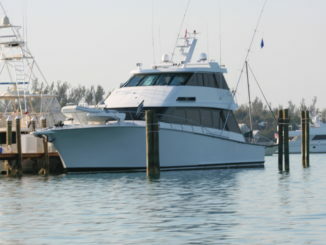 Devilishly beautiful, superbly built, it also offers perfect marine behavior and a remarkable level of finish. 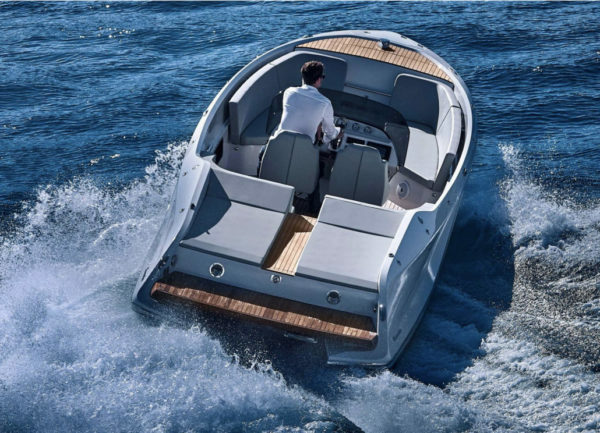 All these qualities make us forget the small details and make the Frauscher 858 Fantom Air a firm favorite purchase, even an investment as Riva was formerly.